History and Overview: The school that would become Yale University was founded in 1701 as an institution, “wherein Youth may be instructed in the Arts and Sciences [and] through the blessing of Almighty God may be fitted for Publick employment both in Church and Civil State.” In 1718 the school was named for Elihu Yale, a Welsh merchant whose contributions helped to insure it’s prosperity. 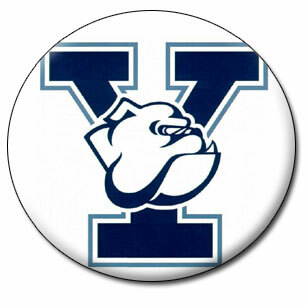 Yale graduated its first African American student in 1847, and its first African American undergraduate in 1872. Today, approximately 400 of Yale’s roughly 5300 undergraduates identify as Black or African American. Although it is a northern institution, Yale’s history is deeply entertwined with the history of U.S. chattel slavery. Click HERE to see my blog post on this subjet. 1857 — Dr. Cortlandt Van Rensselaer Creed becomes the first African American to graduate from Yale Medical School. 1874 — Edward Bouchet becomes the first African American to earn a Bachelor’s degree from Yale and the first African American in the United States to be nominated to the Phi Beta Kappa honor society (Bouchet was ranked 6th in his class out of over 120 students). Solomon M. Coles, a former slave, becomes the first African American to graduate from Yale Divinity School. In 1872 he had become the first African American to enroll in Yale Divinity School. 1876 — Edward Bouchet earns a doctorate in Physics, becoming the first African American to earn a Ph.D. from Yale or any other American university. He also becomes only the 6th American of any ethnicity to earn a Ph.D. in Physics. 1903 — Thomas Nelson Baker becomes the first African American to earn a Ph.D. in Philosophy from Yale. 1904 — Yale Divinity School graduates its first African Student, Oreshatekeh Faduma of Sierra Leone, a member of the Colored Yale Quartet. 1926 — Otelia Cromwell completes her Ph.D. and becomes the first Black woman to earn a degree from Yale. 1931 — Jane Matilda Bolin becomes the first African American woman to graduate form Yale Law School. She would later become the first Black woman judge in the United States. 1949 — Evelyn Boyd Granville earns a Ph.D. in Mathematics from Yale, becoming one of the first two Black women to earn doctorates in this field, both in 1949 (the other is Marjorie Lee Browne, at the University of Michigan). 1962 — Michael G. Cooke (B.A., Yale; M.A., Ph.D., UC Berkeley) is appointed an instructor in the English Department, becoming the first African American told hold tenure in Yale 261-year history. 1967 — The Black Student Alliance at Yale (BSAY) is founded “in response to an urgent need for collective action to counter injustice and a desire to address the issues facing Black students” (source: BSAY website). 1971 — Michael G. Cooke is appointed the Bird White Housum Professor of Literature, becoming the first African American to hold tenure at Yale. 1973 — More Black students matriculate at Yale than in any year since. 2007 — Paulette McCrae becomes the first African American to graduate from Yale with a Ph.D. in Neurobiology.